Fantastic location near shops and beach but still felt luxurious and like we were on holiday. Immaculately clean. The property is very charming and pretty. 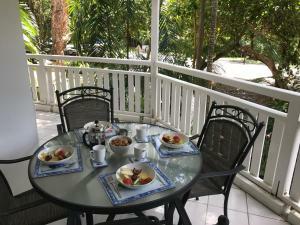 It’s is well appointed in a fantastic location. Beautiful traditional Queenslander that was very comfortable and had all the little extras to make it very homely. The apartment had everything we could possibly need with a full-sized kitchen and all utensils, appliances etc that you would have at home. It was spacious and extremely well appointed. Quiet, spacious apartment in a small boutique complex. 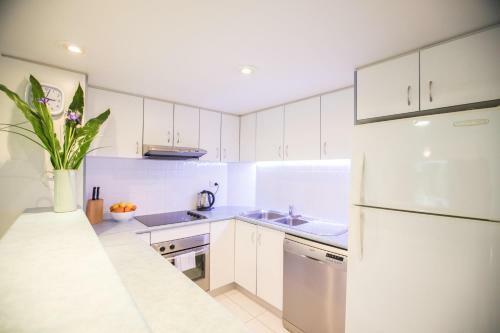 Fully equipped kitchen with sharp knives for food preparation. Lovely tropical pool for swimming. 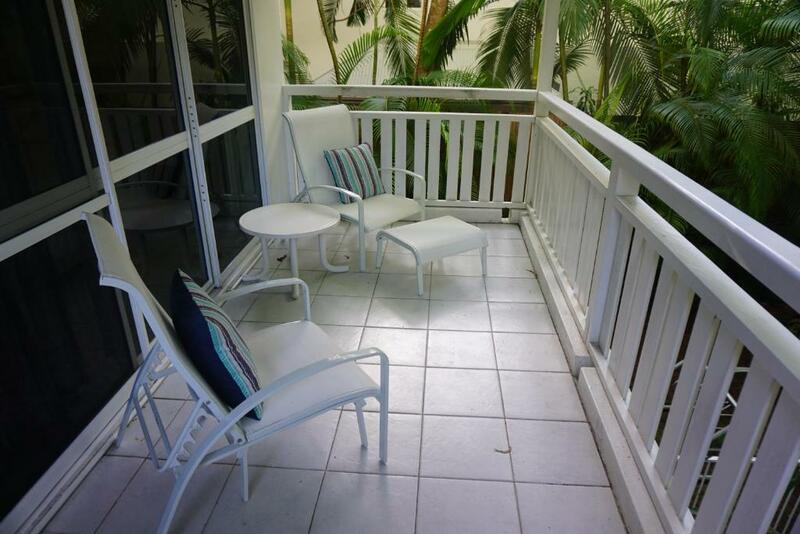 Balcony perfect for dining, a quiet read or sipping G & T's. 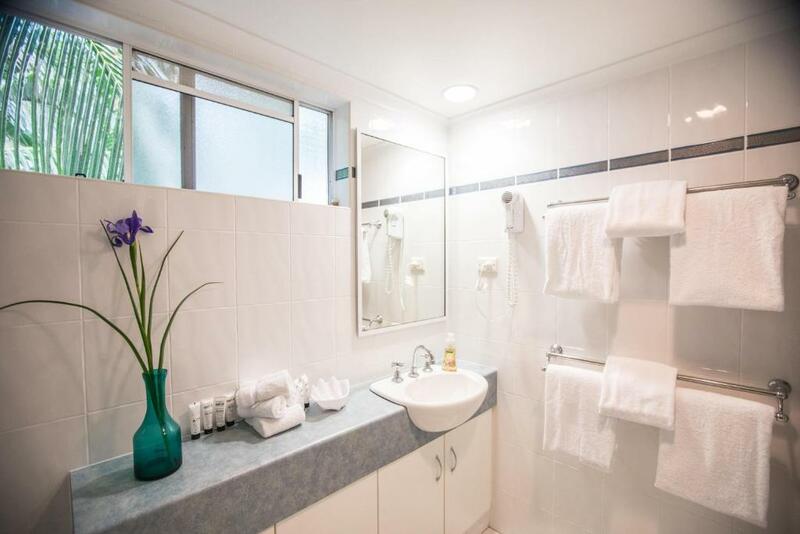 Close to beach and main street, quiet and well stoked kitchen and plenty of towels for both beach and bathroom. Had a lovely stay, good quiet apartments, we hardly ever heard other guests. Bbq area was great, clean, well set up and plenty of room. Jessica was very helpful and always available for any questions. 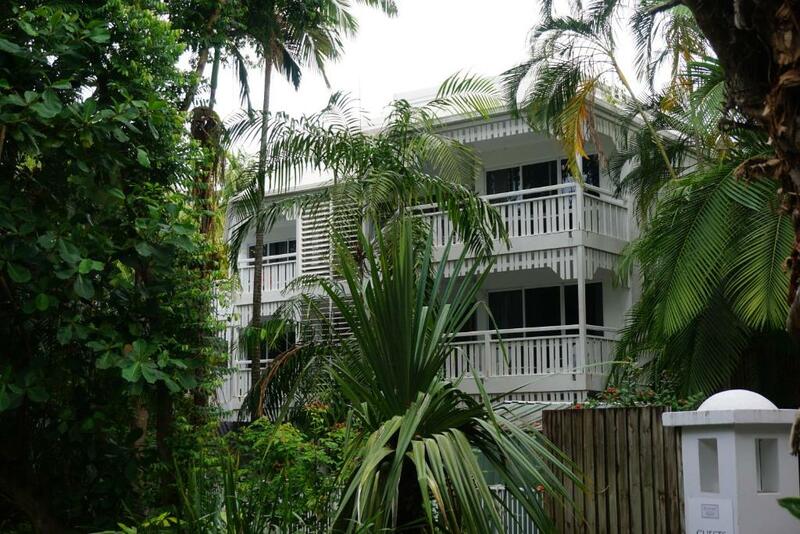 Location was fantastic, so close to the beach and an easy walk to the shops and cafes. We spent a lot of time on that great balcony, the recliners were comfy too. WiFi was good, pool and pool area were nice too. We appreciated that there were plenty of towels, for the beach and the shower. Lock in a great price for Azure Apartment – rated 9.1 by recent guests! Azure Apartment This rating is a reflection of how the property compares to the industry standard when it comes to price, facilities and services available. It's based on a self-evaluation by the property. Use this rating to help choose your stay! 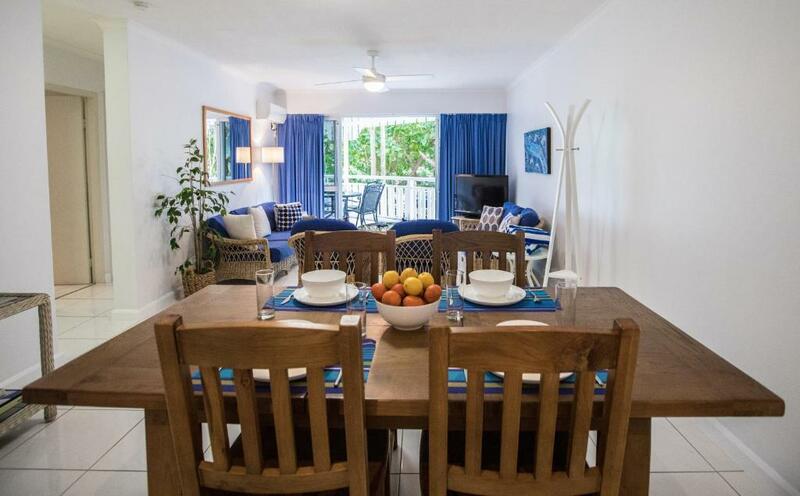 Azure is a spacious unique Queenslander style self contained apartment overlooking a tropical pool. It is less than 350 feet across the park from 4 Mile Beach and one block from Macrossan Street where there's a large variety of cafes, restaurants and shops. The Mirage Marina the gateway to the Great Barrier Reef is a short walk away, as is St Mary's by the Sea and the Port Douglas Sunday market. When would you like to stay at Azure Apartment? Azure offers a unique Queensland style self contained spacious 1 or 2 bedroom apartment with balcony in a small complex. 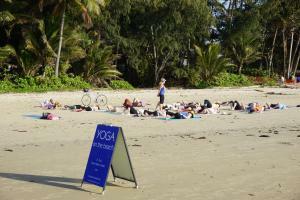 Only 100 metres over the park to the wonderful 4 Mile Beach. Just a block away from Macrossan Street offering cafes, restaurants and a wide range of shopping. So central to everything. We live on the south coast of Australia but have the property professionally managed by Platinum Property Services who will look after your requirements prior to arrival and whilst in Port Douglas. 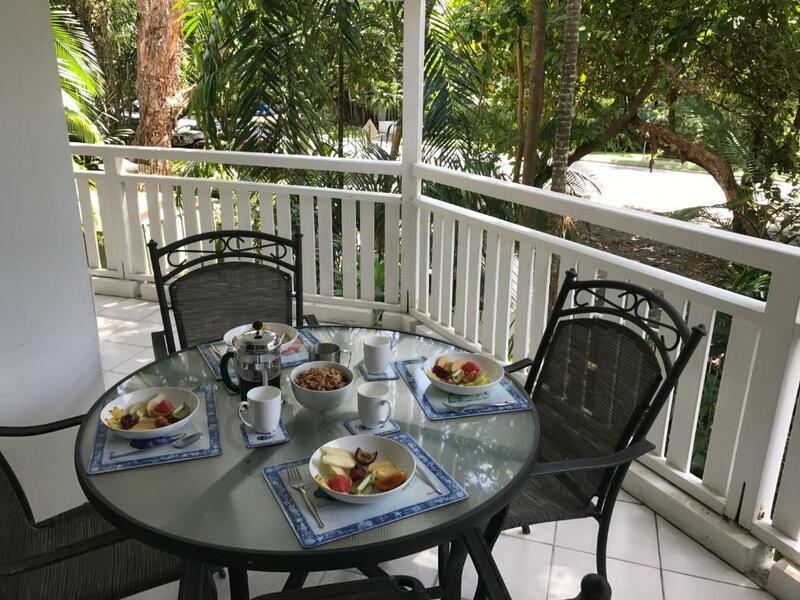 When we are in Port Douglas we love taking early morning walks along the 4 mile beach or up Flagstaff Hill before having breakfast on the balcony of Azure or at one of the many cafes nearby. 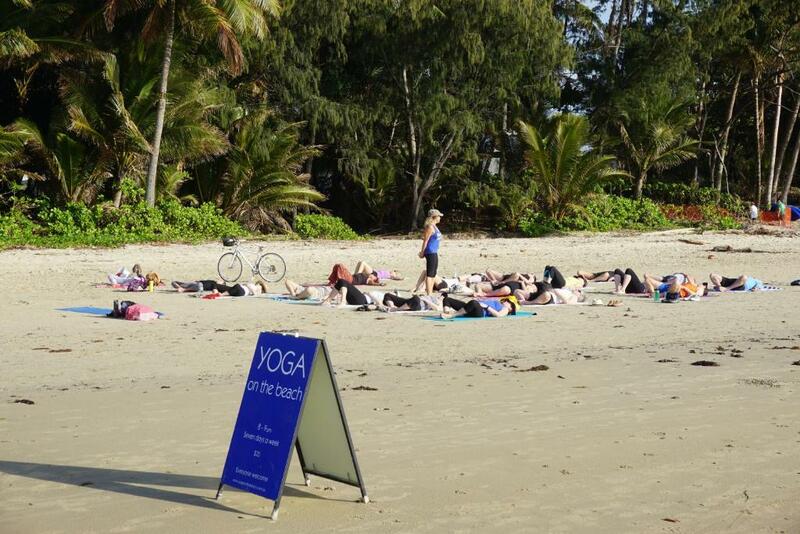 So close to everything - swimming and yoga at the beach. 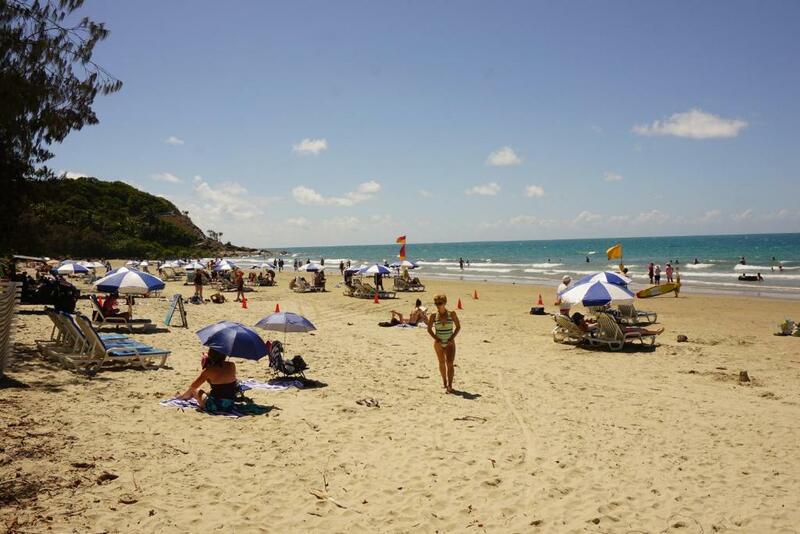 Walk to the famous Sunday Market, St Mary's Church by the Sea and Marina for tours or snorkelling around the Great Barrier Reef, tours up the river or a sunset cruise. Hire bicycles (its lovely and flat) to explore further afield and don't forget to take a trip north to explore the Mossman Gorge and Daintree Forest. House Rules Azure Apartment takes special requests – add in the next step! Azure Apartment accepts these cards and reserves the right to temporarily hold an amount prior to arrival. A damage deposit of AUD 300 is required upon arrival – that's about 214.54USD. This deposit is fully refundable at check-out as long as there's been no damage to the property. Please inform Azure Apartment of your expected arrival time in advance. You can use the Special Requests box when booking, or contact the property directly using the contact details in your confirmation. Could do with better pillows/mattress. Manager was able to fix pillows. Excavator starting work at 5.40am & most mornings we were there. This was out of the managers control nor were they notified so no sleep ins for us 😴 Managers (Helen & Tony) were great to deal with. The air conditioning in the bedrooms was not good- both units were noisy, and in the second bedroom it kept starting itself during the night and as it was noisy it was very annoying. It would have been great to have some spare batteries for the remote controls as we had to keep swapping them from TV remote to air con remote! Remotes needed batteries and limited parking when advertised as off street. Fan in bedroom only worked on high speed. The beds were a bit firm but otherwise nicely furnished. Watch out for the sharp dip (gutter) when entering carpark to the complex, low cars will get scraped bumpers.